Conceptual illustration of the inner cell and its organelle system. 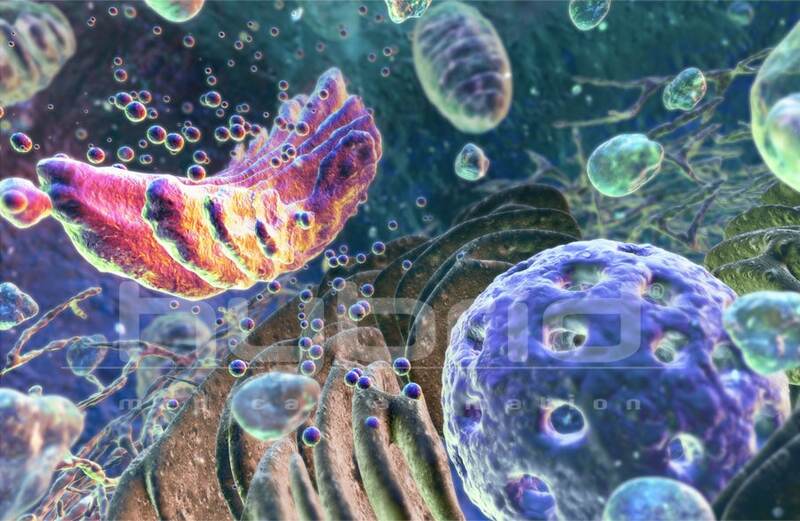 The Golgi apparatus — the site in the cell of synthesis of biochemicals — is seen here collecting proteins and lipids made by endoplasmic reticulum. At the top of the Golgi, biochemicals are packaged into swellings which become pinched off as vesicles.